Have You Explored This Secret Hideaway Nestled Deep In The Greens Of Wayanad? It's touted as Wayanad's best kept secret but we are letting you in on Thollayiram (900 in Malayalam) or 900 Kandi as it's colloquially called. 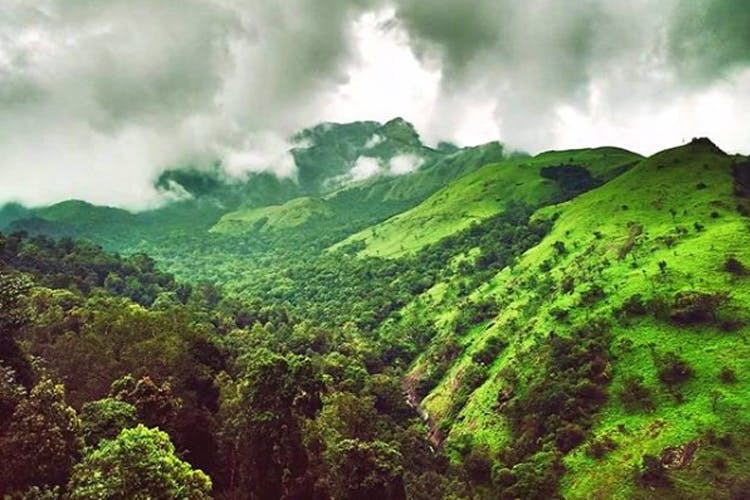 The green hideaway with the picturesque green hills in the backdrop will leave you wanting for more. It's so secretive that only the most avid trekkers and travellers know of it. But ask any of your Malayali friends and they will tell you of this secret hideaway that's nestled deep into the jungles of Wayanad. Almost untouched, this patch of wilderness is accessed by taking a rather scenic route. Your journey starts at Soochipara Waterfalls in Mappadi near Kalpetta and we suggest that before you proceed to the next leg, fuel up near the gushing waterfalls. If you are coming with your bike gang, it's the perfect bike riding destination. You can drive to 900 too, but the real fun is taking to the road on foot and climbing up with your gang and trying to see who reaches the destination first. You are likely to find other trekkers and even cyclists on the trail. Once you cross Kalladi Makham, the real fun begins, because you enter a scenic trail that's filled with greens of all shades all around. If you are going during the season, you'll see coffee pickers busy picking coffee beans. The winding trail goes through a plantation. Stop by and pick few ripe peppers or cardamom to take back home. Once you reach the top, you are going to want to pitch a tent and never leave the place. It's that gorgeous with a stream flowing by and the whole of Wayanad's majestic hills in the backdrop. Sit and admire it before you start taking pictures. The easiest way to access 900 is driving down to Meppadi, which is 20-odd kilometres from Wayanad. From Meppadi, it's about 10-12 kilometres to reach Kalladi Makham.